Bulk insulation – this includes rigid polystyrene sheets, or softer products like polyester, wool and fibreglass. Most of the time bulk insulation will be held securely in place and won’t need fixing or replacing. However to be sure it’s performing at an optimum level check to see that it is tightly fitted against the underside of the floorboards with no gaps or pieces missing. If any has slipped or fallen out, you should replace it or re-secure. You may need some clips or staples to hold it in place. If it looks a shambles it might be best to have a professional take a look. Foil-based product – Foil is typically a dull silver colour and is usually looped between the joists. Some retrofit solutions may also be stapled to the underside of the joist. If you suspect you have foil under insulation don’t touch it. There’s an electrocution risk if the staples have pierced electrical wires and the whole lot might be live. Most foil insulation products are proven to not preform long term. Checking or removing existing foil insulation should be done by a professional, who will turn off the power supply to the house and follow the Electrical Code of Practice ECP 55, which provides guidance for managing electrical safety risks of foil insulation. 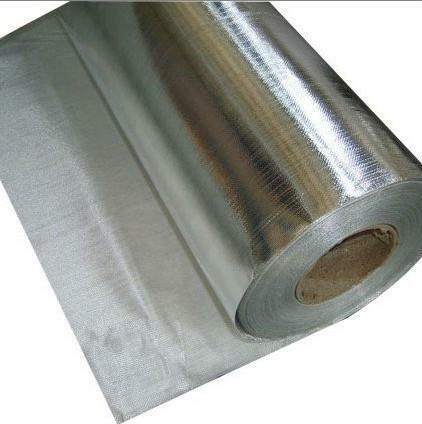 Most underfloor insulation foil is typically ripped, parts of the foil are missing or there are often gaps allowing airflow into the spaces above the foil. Usually it will need to be replaced with bulk insulation. Retrofitting or repairing foil insulation in residential buildings is now banned under section 26 of the Building Act 2004.